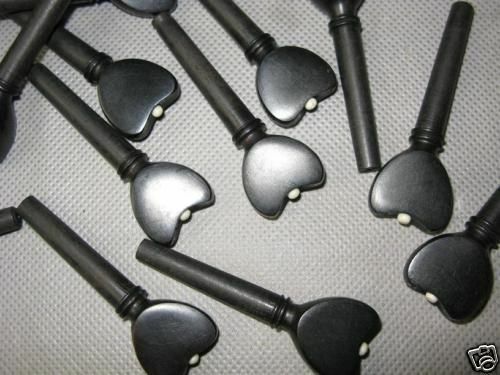 HERE IS A LOVELY SET OF BRAND NEW BLACK EBONY SOLID WOOD CARVED TUNING PEGS. EXCELLENT CRAFTSMANSHIP. IN THE SPECIAL BROQUE STYLE. VIOLIN TUNING PEGS, EBONY, FULL SIZE 4/4, NEW, FULL SET OF 4, UK SELLER, LOVELY! 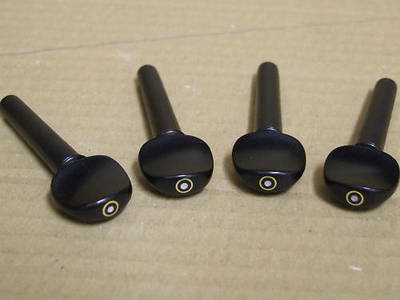 HERE IS A LOVELY SET OF 4 BRAND NEW SOLID EBONY CARVED TUNING PEGS. THEY ARE BLACK IN COLOUR, EXCELLENT CRAFTSMANSHIP. PEARL INLAY EYE WITH GOLD BEADING CIRCLE. THESE PEGS ARE NOT PRE-DRILLED. 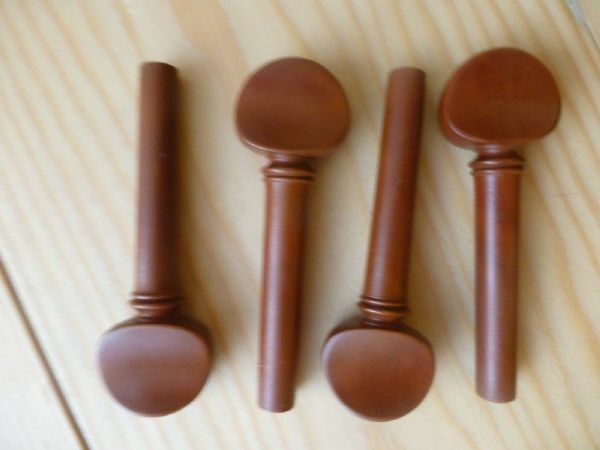 VIOLIN TUNING PEGS, FULL SIZE 4/4, NEW, SOLID WOOD CARVED, UK SELLER, LOVELY! 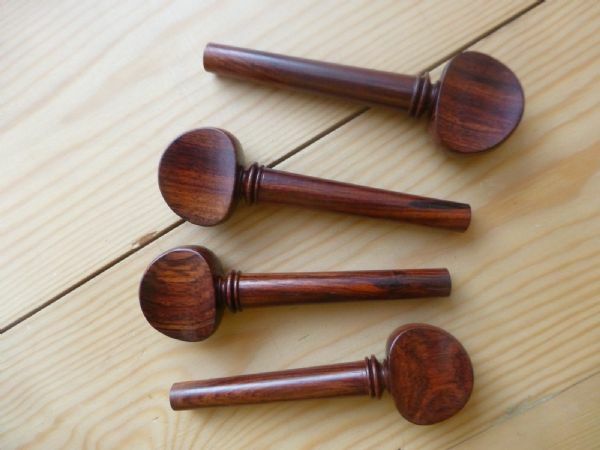 HERE IS A LOVELY SET OF BRAND NEW SOLID WOOD CARVED TUNING PEGS. EXCELLENT CRAFTSMANSHIP. GOLD BEADING ON THE END.